The web sites presented on this page belong to private mail services, artistamp artists and our own proud micronation(s). Please note the stamps shown are not available through yourstamps, with the exception of the Musogradian and Capricornian stamps. The Federated Micronations, and especially their largest member state, the Dershowo Musograd, are the "home" micronation of Yourstamps. All stamps created by yourstamps as demonstration samples and to test new stamp formats and techniques are issued as "FM" stamps. Musograd is a beautiful but poor micronation, torn by political strife and civil wars. Its rich philatelic history and its current issues has been made available through the new Posta tal Musograd web site. Even Micronations experience secessionism... in 2006, the Republic of Capricornia declared its indepence from the Federation of Musograd, caused mostly by Musograds lack of dedication to its declared Australia policy. Since 2009, Capricornia and Musograd are again united under the roof of the Federated Micronations. Capricornia has issued a small number of stamps with a modernist design, which are all on display on the Capricornia Post web site. "Capricornia Post Extraterritorial Agencies" is the branch of Capricornia Post operating outside the Federated Micronations. The first Agency has been established in the Fishtown Newport Territory, located in Bremerhaven, Germany, with Bernhard Krauth as the Postmaster. 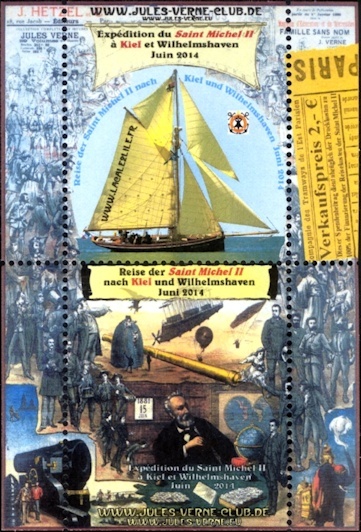 Starting in 2015, a low number of stamps with maritime motives have been issued. The author and artist T.H.E. 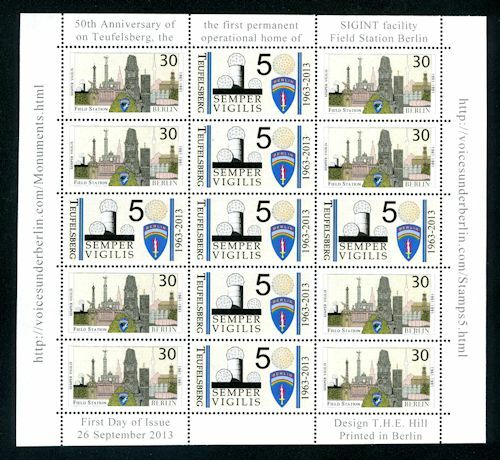 Hill has designed several Cinderella stamp issue to commemorate the anniversary of the fall of the Berlin Wall and the presence of American Armed Forces which held up freedom in West Berlin during the cold war. Below the 2013 issue commemorating the 50th anniversary of the Teufelsberg station in Berlin. The island of Pabay is located about 2.5 miles (4 km) north of Broadford Bay on the southern part of the Isle of Skye in Scotland. It is 360 acres in size, diamond shaped and predominately flat, the highest point being 28m above sea level with cliffs on the North and East shores. The name Pabay is derived from an old Norse word (the Norwegians ruled this part of Scotland for many years around 1000AD) meaning "priest's isle" and there are the remains of a 13th century chapel. 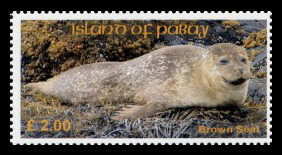 Pabay has been issuing stamps since 1962, which are used as carriage labels from the local post box to the nearest postal facility in Scotland. Current stamp issues focus on local themes and events; only a very limited number of stamps is issued per year. The stamps can be obtained from Pabays philatelic service. The Pabay philatelic sales team also distributes 2 interesting CD-ROM based catalogues covering UK and US / Canada local stamp issues. 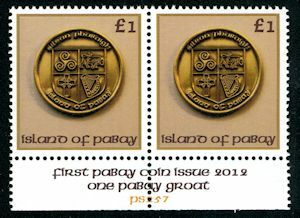 Pabay has issued its first coin in 2012, using the historic denomination Groat. Another beautiful Scottish island in the vicinity of Skye is the Isle of Rona. Inhabited by its caretaker Bill Cowie most of the time (when he is not on the other half of the globe), it offers beautiful views and excellent accomodation in two cottages. 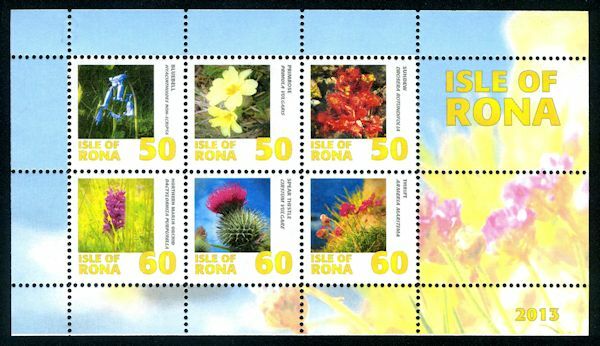 The stamps of Rona, used as local carrier labels, depict local views and the diverse wildlife of the island. Please check out the web site of Rona to inspect and purchase them. 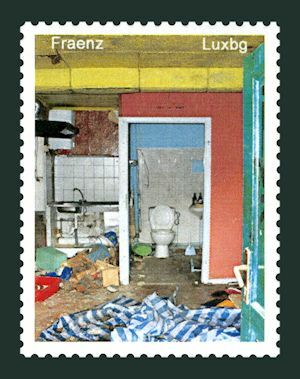 Fraenz Frisch is an Artistamps Artist from Luxembourg. His tiny works of art often display colourful collages consisting of torn posters on walls. Typical for the Artistamps and Mail Art arena, he takes part in Mail Art group projects. Below his contribution for a 2013 "thankyou" project dedicated to his Mail Art colleagues. Serious collectors usually think that stamps which are not listed in a catalogue are not worth collecting. But there are catalogues going beyond the well-known Gibbons, Michel and Yvert catalogues. Ralph Phillips has taken up the incredible task of creating them for British islands, separatist regions in Africa and many other philatelic areas not covered by the large firms. Now a new area has been added - in 2016, a Micronations stamp catalogue has been published!